Hello. Today's podcast is a quick interview with my students at Park University. I teach 8th grade American History as my day job but I am also on the faculty at Park University in Parkville, Missouri where I teach a grad class : ED 491 - Technology for the Classroom. It is an awesome course to teach and this is my 5th time teaching it. I teach it as an online class in the winter and as a face to face in the spring. They gave me the ability to create the curriculum and it is really sort of a "School 2.0" offering. We discuss - and use - a variety of tools for teachers: blogs, wikis, podcasting, video, digital photography, online assessment, copyright issues, writing ed tech grants, multimedia presentations, etc. Last night we discussed wikis and podcasting. We used Audacity and the students were able to dig in and play around with it - for each of the six students in the class it was their first exposure to Audacity. I love the fact that the 8 week class meets for 4 hours each week - it gives us time to discuss the tools but also really practice using them, a factor not usually included in traditional workshops or inservices on tech. Today's podcast is a quick interview with the students after they had played with Audacity and had some time to think about how they might use it in their classrooms. The picture on this blog is MacKay Hall - the building I teach ED 491 in at Park University. It is awesome! I feel like I might run into Harry Potter every time I turn the corner in the hallway! It also has an amazing view of the Missouri River from the window! If you're a teacher you must check out TeacherTube. The site went live just a couple of weeks ago on March 6, 2007. Think YouTube but for education. Pretty slick interface and easy to use. Teachers are currently uploading video relating to education. Yesterday I wanted to try it out so I upload my Constitution Day video from this year - we do a video each year and show it on our building student broadcast to celebrate Constitution Day. Just like YouTube, it is easy to upload video content, easy to embed in your blog, easy to send a link and collect your favorite videos. If you haven't yet checked out TeacherTube go over and check it out. Hello. 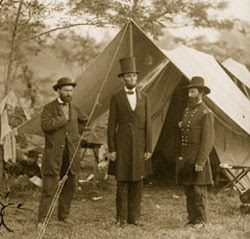 We are currently studying the Civil War in class - one of my favorite units to teach in terms of content - and this spring I will be podcasting about some of the tools we use to teach this time period in my class. Today's podcast is short but an item I picked up recently at our local Jesse James Bank Museum Gift Store and have used in my class this past week. The featured educational resource today is a Civil War Bullet Set with six reproductions of bullets used in the war. The bullets are made of modern day lead-free material but give the students a object they can touch and feel as we discuss the changes in weapon technology that made the Civil War such a deadly ordeal. Very economically priced (I picked mine up for $7) and a great hands on resource. Includes a great little booklet with a ton of information on how each bullet was used and some interesting stats. Did you know that approximately 569 tons of ammunition was used during the three day battle at Gettysburg? You can subscribe to the Speaking of History podcast directly at i-Tunes here. Hello. During our study of the Civil War I have always found it helpful to bring items into the classroom that students can touch, feel and experience from that time period. A couple of years ago I purchased an authentic Civil War era bullet from an artifact collector. I think it cost me about $5. It has not been fired and was found in Missouri. There is something almost magical when you pass it around the room and the students hold it in their hand - an actual bullet that could have been carried in the pocket of a Civil War soldier in 1863. This year I incorporated a writing assignment with the Civil War bullet. The class watched a five minute segment on the Battle of Shiloh from the Ken Burns PBS Civil War series. As the video segment played the bullet was passed around the room and once it was over each student was asked to write a poem from the perspective of that bullet. Where was it? Was it shot? Who held it - a young scared 15 year old or a confident older soldier? How could that bullet change the course of history? that the battle is in sight. Waiting to be shot from the gun and take flight. Now waiting to be shot and cause peril. steal and lives that I rob. Feeling the soldier's pain as I tear through the skin. 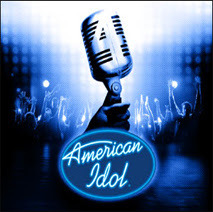 Podcast #75 - American Idol - Guilty Pleasure or Alarming Cultural Trend? Hello. Yes, I'm an American Idol viewer. I'm not one of those crazy fans with posts on message boards, voting 30 times each week, checking out the blog rings of my favorite singer but I do watch. I also talk about it at lunch and record it if I'm away from the house at the time. Even my 3 year old likes to watch it and guess who will "go home" that week. But what does it mean when in last year's final there were over 65 million votes casts - roughly half the number cast in the 2004 presidential election? Is watching and talking about American Idol just a guilty pleasure that has captured our attention or do we as a nation spend way too much time talking and following American Idol, Anna Nicole Smith, Paris Hilton, etc? You can subscribe to the Speaking of History podcast on i-Tunes here. USA Today Article on Podcasting Mentions "Speaking of History"
Hello. A couple of weeks ago I was interviewed by reporter Maria Puente about the Speaking of History podcast and today - March 16, 2007 - it appeared in the print edition of the USA Today. Very exciting. 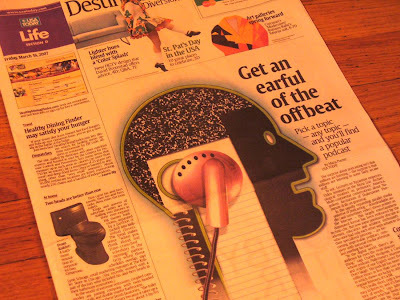 It is a great article about some of the "offbeat" podcasts currently available. Some education podcasts are produced by high school and middle school teachers reaching out to other teachers on ways to connect with less-than-engaged students. Eric Langhorst, a junior high history teacher in Liberty, Mo., uses his podcast, Speaking of History, to hook students who dislike history but love their iPods. "(The dislike) comes from the way history is traditionally presented in classrooms," Langhorst says. "Students like history when they see a program on TV or go to a museum or hear a story. Once you get them hooked, the story of American history is very engaging." You can read the entire article online here at the USA Today site. If you are a first time visitor as a result of the article welcome to Speaking of History where the topics are generally a combination of technology, education and history. If you have any questions or comments about the podcast please e-mail me at speakingofhistory@gmail.com or leave a comment to the this blog post. 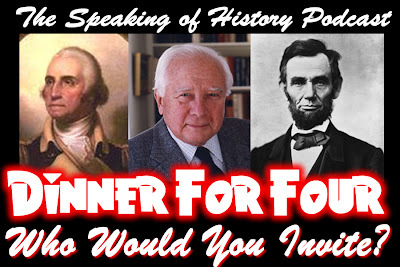 Podcast #74 - Dinner For Four - Which Famous American History Figures Would You Invite to Dinner? Hello. Today's podcast is a question that I began thinking about a couple of weeks ago as I ate at Gadsby's Tavern in Alexandria, Virginia - a historic tavern that once served the likes of George Washington, John Adams, Thomas Jefferson and James Madison. What would it be like to dine with famous Americans from US History? Who would I invite and where would we eat? In today's podcast I explain who I would invite, where we would eat and what we would discuss. I also want to hear from you. Who would you invite and where would you eat this amazing meal? After listening to the podcast please post your response as a comment to this blog. I would invite 1) George Washington, 2) Abraham Lincoln and 3) David McCullough. In the podcast I discuss why I selected these individuals and what topics we would cover during the meal. - Where you would eat this meal? - What questions would you ask and what topics do you think would be included? Please post your comments to this blog entry. I will quickly approve all responses and post them so that we can all share in this experiment. I can't wait to see your selections and why. You can subscribe to the Speaking of History Podcast at i-Tunes here. Hello. 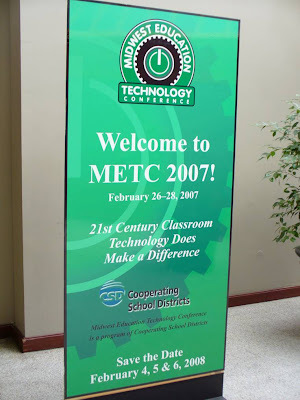 Today's podcast is a quick review of the 2007 METC conference held in St. Louis last week from several Liberty Public School teachers who attended - Christine Torres, Lance Huebner, Marty Kelsey and Eric Langhorst. The podcast was recorded at the St. Louis airport waiting for our plane. We all had a great time at METC - it was the first visit to this conference for each of us - and we hope to come back in future years. Hello. On a recent trip to Washington DC I stopped by the International Spy Museum for a visit. I had never been to this recently opened museum - it has been open for 5 years - but had read many glowing comments about it. It is an amazing museum with numerous educational opportunities for teachers and students. I sat down with Peter Earnest, the International Spy Museum Executive Director, and dicussed the museum and it's educational connections. I have read several books over the past year about Washington and his use of spies in the American Revolutionary War. The museum has some great learning opportunities in exploring the use of spies in the Revolution. The museum is full of amazing artifacts but my favorite was an original letter from George Washington authorizing a spy in New York during the war. A picture of this artifact can be seen above this paragraph and it is also mentioned by Mr. Earnest in the podcast. This artifact is only on display for 2 months a year because of it's fragile state. It is currently on display at the museum until around the start of April 2007. If you are brining a group of students to Washington DC I would highly reccommend a trip to the International Spy Museum. If you can't make it in person the museum has some great curriculum guides available on the education portion of their web site with PDF files you can download and use with your students. There is also a SpyCast from the museum with spy related podcasts. Special thanks to Peter Earnest for taking time from his busy schedule to visit with me and to Amanda Abrell who arranged the interview and in providing additional information about the museum. You can subscribe directly to the Speaking of History Podcast through i-Tunes here.